Power is imperative to the overall development of a nation. Be it faring well on the healthcare index or ensuring that every child goes to school, availability of electricity is closely linked to these as well as other indicators of progress. Managing energy resources well not only ensures economic progress but also social development. The year 2013 saw several important decisions and critical steps being taken to speed up the languishing power projects, remove bottlenecks, and interact closely with all stakeholders whether state governments, ministries, or the private sector to make power generation a seamless process. Installed Capacity/Capacity Addition and Power Generation: The total installed capacity of the power sector stood at 2,29,252 MW by 31st October 2013 with the private sector contributing a significant 72,927 MW and including 12% from Renewable sources. The power sector saw a total capacity addition of 20,622.8 MW during 2012-13 which is the highest record of capacity addition in a year so far with a little less than half of it coming from the private sector and also exceeded the target of 17956 MW for the year 2012-13. For the year 2013-14 a capacity addition target of 18,432 MW including 2000 MW of nuclear power has been set, with the highest contribution of 7859 MW expected from the private sector. A capacity addition of 7,008 MW has already been achieved till 10.12.2013. 24th May, 2013 was a historic day in for power generation in India with the highest ever generation of 128 GW in a day. Power generation in India is still heavily reliant on coal and gas with thermal accounting for more than 80% of annual power generation. State owned NTPC emerged as the largest power producer in the country accounting for more than 28% of power produced in the country in 2012-13. The total power generation of 912 Billion Units in 2012-13 from conventional sources fell only marginally short of the target. The power generation target for 2013-14 is 975 BU out of which 562 BU was already achieved by 31st October, 2013. Power Supply position in the country has improved during the current year (2013-14). The energy and peak shortages in the country have reduced from 8.6% & 9.0% during April-2012 - Nov, 2012 to 4.5% & 4.2% respectively, during April- Nov, 2013. Transmission Inspite of bottlenecks , it was possible to add 17107 ckm of transmission lines during the year 2012-13 and it is proposed to lay 18674 ckm of transmission lines during 2013-14, out of which 7620 ckm is already achieved till November 2013. Number of substations targeted for the period are 35363 MVA and achieved upto Nov 2013 are 26180 MVA. Purnea- Bihar Sharief transmission line which was commissioned this year became the first transmission line in the private sector . Work is now on on transmission voltages of -+800kV HVDC & 1200kV 1200kVUHVAC after Conserving Right-of-Way (RoW), minimizing impact on natural resources, coordinated development of cost effective transmission corridor, flexibility in upgradation of transfer capacity of lines matching with power transfer requirement became major areas of concern in development of transmission network in the country. The southern grid connectivity got fast-tracked in the current year and 60 per cent of the work got completed with the establishment of 315 towers. The grid connectivity is likely to be completed by January, 2014. R-APDRP (Restructured-Accelerated Power Development and Reforms Programme) Under R-APDRP, government gives financial assistance for setting up automated systems of energy data collection and energy accounting and incentives by way of grants for reducing AT & C losses. Projects worth Rs. 37,189.82 cr are now under implementation. RGGVY (Rajiv Gandhi Grameen Vidyutikaran Yojana) The government has been able to surpass the targets set for the RGGVY under the Bharat Nirman programme. Since its inception, electrification works in 1.08 (96%) lakh un-electrified villages, 3.03 lakh (79%) partially electrified villages have been completed and free electricity connections to 2.13 crore (77%) BPL households have been released under RGGVY as on 15.11.2013. Reforms introduced in RGGVY this year are meant to ensure energisation of villages as compared to mere electrification. Now, villages with just 100 people will also get access to electricity while there has been an increase in prescribed load for a BPL household to 250 watts (up from 40 watts) and for an APL household to 500 watts (up from 250 watts). Financial Restructuring of State DISCOMs To rescue the state owned DISCOMs from their financial difficulties, the scheme of Financial Restructuring Plan was notified this year. The scheme provides for various measures to ensure financial and operational discipline for the state owned DISCOMs and support from the GOI in the form of Transitional Finance Mechanism. The scheme has been successfully implemented in Tamil Nadu, UP, Rajasthan and Haryana. FRPs have also been finalised for states of Bihar, Jharkhand and Andhra Pradesh. Rationalisation of tariffs has already been carried out by 24 SERCs/JERCs. Grid Security & Grid Discipline Managing the world’s third largest power transmission system grid is an increasingly complex task. India faced major grid failures in July 2012. To ensure grid security, islanding scheme for Delhi has been completed while that for UP, Punjab and Haryana under finalisation. Unscheduled drawals were strictly controlled during the peak season this year. Discoms were asked to ensure compliance within +/- 150 MW or 12% of their schedules irrespective of frequency. Feeder transmission lines were identified for disconnection in case of violation of overdrawal limits. Installation of Syncro PhasorManagement Units for real time network management at a cost of Rs 655 cr was also approved. 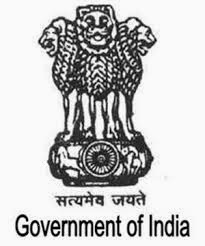 Further, the establishment of Power System Operation Corporation (POSOCO) as an independent wholly owned Government of India Company, under the administrative control of Ministry of Power, is under consideration of the Government of India. Smart Grid 14 Smart Grid Pilot projects identified in 2012 were approved for 50% funding by Government of India in July 2013. The Smart Grid Vision and Road map document for India was released during Power Minister’s Conference on 10th Sep’13. Activities for planning the launch of National Smart Grid Mission have been initiated. Emphasis on clearances & removing bottlenecks Large number of power projects have been held up for want of environment and forest and other clearances and due to fuel supply bottlenecks especially with regard to coal and gas. This year the emphasis has been to follow up on these aspects with a sense of extreme urgency. As a result, as many as nine important hydro electric projects received environmental, forest and wildlife clearances this year includingTeesta- IV in Sikkim, Kol Dam in HP, Tawang-II in Arunachal Pradesh, Loktak in Manipur among others. With the concerted efforts made by MOP, Power Unities have already signed fuel supply agreements for 157 Units totalling around 71,000 MW upto 27.11.2013 out of a total of 78,000MW. To ensure good quality coal to power producers, the Ministry of Power (MoP) had taken up with Ministry of Coal (MoC) for introduction Third Party Sampling in supply of coal. Coal India Ltd. has appointed an agency for Third Party Sampling. Third Party Sampling became operational from October onwards. Pass Through Mechanism was also introduced in the current year to allow power producers of competitively bid power projects to pass on the hike in fuel cost like imported coal into the tariff. Hike in fuel costs affect the viability of power projects whose tariff is not charged on cost plus basis. Due to shortfall in production of domestic coal by 75 MT, Power Utilities have been advised to import 50 MT of imported coal as per the equivalent Gross Calorific Value (GCV) of the imported coal. In a major victory for the power sector, the government decided that the total domestic gas supply to fertilizer sector be capped at their present level of 31.5 MMSCMD and all additional domestic gas from the year 2013-14, 2014-15 and 2015-16 will be allotted to power sector to help improve generation. Ultra Mega Power Projects The revised Standard Bidding Documents for Ultra Mega Power Projects (UMPPs) were introduced this year which include several features that are designed to boost investors’ confidence. On the basis of these revised Bidding Documents, two UMPPs have been brought to bidding stage ie Odisha and Cheyyur (Tamil Nadu) UMPPs . These UMPPs will provide an investment opportunity of over Rs.40000 crore to private sector both domestic and overseas and would lead to a capacity addition of about 8000 MW. 4 UMPPs have so far been transferred to the selected developer namely (i) Mundrain Gujarat, (ii) Sasan in Madhya Pradesh, (iii) Krishnapatnam in Andhra Pradesh and (iv) Tilaiya in Jharkhand.All the five Units (5X 800 MW) of Mundra has been commissioned. Sasan first Unit (1X 660 MW) commissioned in May, 2013. Several other UMPPs are in the pipeline ie (i) Nayunipalli in Andhra Pradesh, (ii)Husainabad in Jharkhand, (iii) Bijoypatna in Bhadrak district for coastal location andNarla & Kasinga in Kalahandi district for inland location in Odisha, (iv) UMPP in Bihar and (v) sites in Tamil Nadu and Gujarat for second UMPPs (Site yet to be finalized). Special Focus on Jammu & Kashmir and North-Easter Region (NER) 24 hours power supply was assured to distant Leh and Kargil areas by the full commissioning of the Nimu Bazgo and Chutak Hydro Projects in J&K this year. The Transmission line from Srinagar to Leh was approved which will provide the much needed electricity to the Ladakh region. In J & K, 14 projects (3 projects in 10th Plan and 11 projects in 11th Plan) have been sanctioned under RGGVY. Cumulatively, as on 15.11.2013, the electrification works in 192 UE villages and 3,018 PE villages have been completed and free electricity connections to 64,255 BPL households have been released. Adequate funding will be made available to Arunachal Pradesh for their sub-transmission projects. The Northeast Agra link to transmit clean energy from the North-Eastern and Eastern region of India to the city of Agra across a distance of 1,728 kilometers has already been inaugurated. Foundation stone was laid forBishwanath-Chairyali (6000 MW) HVDC link for evacuation of power from Hydro projects in NER. Due to constant pursuance with DONER, EGOM has been set up for resolving issued concerning clearances and infrastructure requirements for Hydro Projects in the North-East. Efforts on war footing being made for speedy clearances to hydro electric power projects in the J & K and NER like Dibang Central (3000 MW) by NHPC in Arunachal Pradesh, Tipaimukh Central (1500 MW) by NHPC in Manipur, Pakal Dul(1000 MW) under Joint Venture in J&K, Subansiri in Assam among others. Energy Efficiency & Energy Saving The Perform, Achieve and Trade (PAT) scheme under the National Mission for Enhanced Energy Efficiency (NMEEE) has already helped to save 6.5 million tons of oilequivalent within a year of its launch last year. Various Energy Efficiency Policies of Government of India have resulted in an Avoided Generation Capacity to the tune of 10,836 MW during 11th plan period. The participating units of 2013 National Energy Conservations Awards programme have achieved an annual monetary savings of Rs. 4141 Crores. These units have also saved energy equivalent to the energy generated from a 711 MW Thermal Power Station. It has been mandatory from this year onwards that all ministries/departments while procuring appliances will ensure that they show the threshold BEE star rating carried against them. This scheme of public procurement of energy efficient appliances will help to save 15-20% energy use of these offices equivalent to avoided installation of a 250 MW capacity thermal power plant. Institutional Mechanism to address problems faced by the power sector For the first time, two conferences of state power Ministers and Secretaries were held in a year. Also for the first time two meetings were held with heads of CERC/SERCs this year. Advisory group of industrialists, consultants and economists has been set up to come up with joint solutions to problems facing the power sector. The group meets very frequently. Frequent meetings of Parliament Consultative Committee are being held on critical issues facing the power sector. In a nutshell this has been an action packed year for the power sector wherein all the stakeholders worked with a determination to take this sector to a new high.